Bristol is one of those wonderful UK cities that has pretty much everything going for it. Great weather (one of the warmest cities in the UK), friendly people, world-class culture, stunning architecture and it's bursting with creativity. It is, in fact, the largest centre of culture, employment and education in South West England with a population of nearly half a million. And on speaking to Bristol creatives, it's absolutely clear that this city is one of the happiest places to live, work and play. 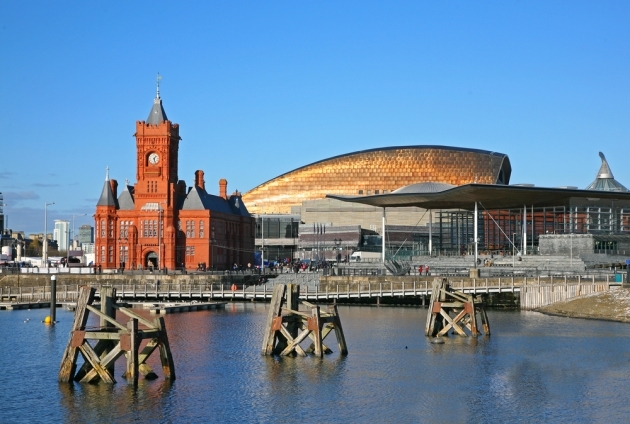 Built around the beautiful River Avon and with a short coastline on the Severn Estuary which flows into the Bristol Channel, the city's economy largely depends on creative media, electronics and aerospace industries. There's also a huge digital industry here - gaming, web, mobile - along with a wealth of creative freelancers, particularly designers and illustrators. The makers of Wallace & Gromit - Aardman are based in Bristol. The city is also home to the UK's largest permanent street art project, known as See No Evil. And famous street artist Banksy has many artworks dotted around the city. Artworks on buildings in Bristol, most created for See No Evil. Image Credit: pjhpix / Shutterstock.com. Film and music are big in Bristol. Since the late '70s, it has been home to bands from punk, funk, dub and political consciousness, with the most notable being Glaxo Babies, The Pop Group and trip hop artists (also known as 'Bristol Sound') such as Tricky, Portishead and Massive Attack. Amen. It's also a stronghold for drum and bass (Manchester! I may have to leave you!) with Roni Size, DJ Krust and More Rockers all coming from Brizzle. Bristol is so wonderful there are 34 other populated places on Earth named 'Bristol', most of which are in America but also in Peru, Canada, Jamaica, Barbados and Costa Rica - all presumably commemorating the original. "I've only been in Bristol for three years now, but it already feels like home. It's a mini happy London in my opinion! There are so many different areas to the city and heaps of places where creative people can find inspiration. There are the little cafes and pubs in Stokes Croft with artwork covering the walls, new creative pop-up shops every month, beautiful parks (with deer, amazing views, and hot air balloons covering the sky), amazing graffiti (with Nelson Street becoming a little hotspot for tourists now), great canals gleaming in the sunshine and festivals popping up all the time! What's really nice about Bristol is that people seem to want to create - it's not all about the money which often kills the beauty of art. From the teams of creatives making free zines to the bloke that powers his boombox by riding his bike around, it seems like everyone is genuinely happy. There are lots of creative companies in Bristol and it seems like more and more people are being tempted by Bristol's happy lifestyle." "I'm born and bred in Bristol and I love this city. It's hugely creative and that's evident from the number of creative people and firms who come and stay here long-term. Bristol has fantastic places like the Arnolfini and the Watershed showing great art, music, film and other events and exhibitions, you can always find something to do. We also have a great city museum as well as the Royal West of England Academy, which is Bristol's first art gallery. 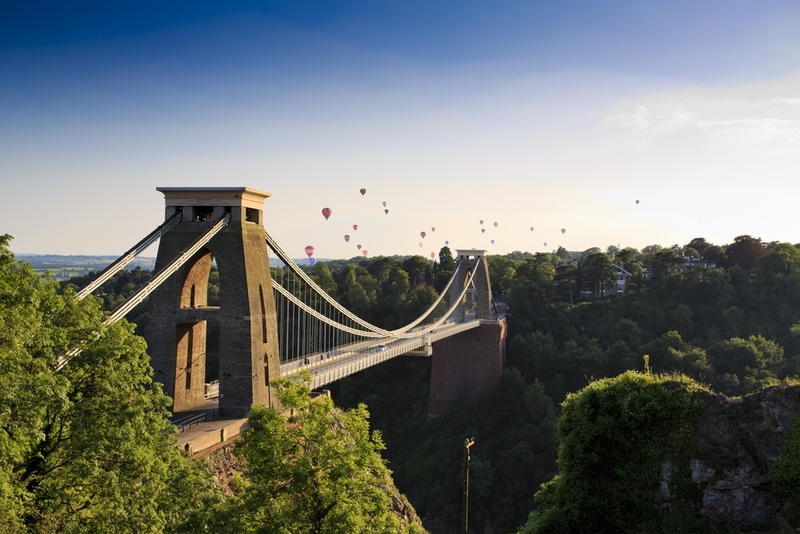 Events such as Bristol Balloon Fiesta, Brisfest, Harbour Festival make it a fantastic place to come to visit and these events really emphasise the talent within the city. From July to September this year, Bristol is going to be invaded by 80 massive Gromit sculptures for the Gromit Unleashed exhibition, which are individually designed and created by invited artists. At the end of the exhibition, they will all be auctioned off and money raised will go to Wallace and Gromit's Grand Appeal. I walk round this city every day and I always feel inspired. There is a buzz around Bristol for creatives that makes you feel like you can achieve anything here, and everyone is keen to help, collaborate and show off the talent we have." "Bristol has a buzz that I haven't found in any other UK city. There's a great community of creative businesses and we all pull together to help each other out and pass on opportunities. New ideas are supported and helped to grow in Bristol - people will do everything to ensure you achieve your goals. Plus everyone knows everyone, which makes meetups great fun!" "Bristol is a city that you can never be bored of - it's a creative hub that on every corner of the city there is something different going on. You can go to one of the many local venues and check out one of the local bands, you could go on a boat trip around the harbour front or go and discover one of the many bars, restaurants or cafes. Bristol has become home to me over the years; the reason I love it is the fact you never feel out of place. Even though it is a city, you can be walking down the street and bump into someone you know. When the sun is shining you can sit and enjoy it with friends in Castle Park or Victoria Park, or sit out at a cafe and pub. Even when you live in Bristol, there are always new things to discover; it really is the city where you can carry on discovering and making new friends along the way." Looking to go to university or further your studies? Bristol is a fantastic place to study. And I mean fantastic. It's a relatively small, compact city with plenty to keep any happy student entertained. And there are nearly 50,000 students making up part of the city population each and every year. Home to two major institutions - the University of Bristol and the University of the West of England, both of which offer a wealth of creative courses. The Faculty of Arts at the University of Bristol has courses in drama, art history and music. While the West of England has a department in Arts, Creative Industries and Education, offering art and design; English, writing and drama and screen, media and journalism. Plus it has the Bristol School of Animation and the Bristol Old Vic Theatre School. Bristol also has two further educational facilities, including City of Bristol College and South Gloucestershire and Stroud College. There are also three theological colleges. They don't call Bristol Silicon Avon for anything. The startup scene is thriving here. There couldn't be a better place to get your idea off the ground, as Bristol has a growing entrepreneurial ecosystem that brings together startups, essential support, partners, future clients and, of course, investors. Bristol is notably where MyBuilder, Glasses Direct and DataSift began. So where do you go for startup support and a local community? The Watershed is a digital media and arts complex in the heart of the city that has been mixing up creativity and technology for more than 20 years. And the place for startups is at its iShed venture, which aims to produce talent, ideas and knowledge sharing. It includes the Pervasive Media Studio where creative tech collaborations happen. It's a kind of sandbox offering, designed to help get ideas off the ground and has heavy backing from Bristol's two universities, University of Bristol and UWE. There's also Media Sandbox and Theatre Sandbox - both of which aim to develop ideas using new technologies. To network and get out and about with other startups, check out Dorkbot and BathCamp - both offering a good mix of tech events for geeks. While South West Founders is a monthly meetup for tech startup founders. The next event is happening in June 2013. And if you're looking for extra support, you must visit SETsquared. It accelerates early-stage, high-tech, high growth startups but it also offers free meeting rooms, workshops, business mentoring, investment readiness training and much more. It's a not-for-profit that's based at the University of Bristol but is open to outside businesses. For all you wonderful illustrators, Bristol is one of the best places to be! Have a gander at the Drawn In Bristol website. It supports and profiles local illustrators online but also curates exhibitions, pop-up shops and events. For animators and creatives, get yourselves down to Westivus or check out Animation Nights. Love photography? Have a look at Bristol Photography Group - a regular meetup for budding photographers all across Bristol. Bristol Web Folk is an informal gathering of web developers, designers and anyone else interested in what makes the web tick. To get social and make the most of Bristol's cultural scene, join the friendly Bristol Movie & Theatre Fans group. If you're looking online, then you should sign up to Bristol Media - it's one of the biggest creative networks in the UK with over 1,700 members and supported by the local city council. And Bristol Creatives, along the same lines. With such a buzzing creative scene, Bristol quite naturally has its fair share of co-working spaces and communities. Mild Bunch is a co-working studio for designers and developers on the border between Stokes Croft (Bristol's art quarter) and Montpelier. Bridewell Space is another co-working hub for creatives and entrepreneurs, which has a studio, desk, band, art and even gym space - all under one roof! Wilder Studios offers a little hot-desking at very affordable prices over at Stokes Croft. It also has virtual office services, making it a good launch pad for people starting out. There's the Tobacco Factory in Southville, multi-use space for performing arts and creatives with workspace, desk space, meeting rooms, live/work and cafe bar area. It's aiming to be at the centre of Bristol's cultural revolution. Spike Design is the largest design incubator in the South West, offering creatives an open-plan studio/office space, along with business support. The Create Centre is a vibrant place which hosts regular events and exhibitions and also features flexible office space. 77 Stokes Croft lies at the centre of Bristol's most creatively driven quarter and offers space, business support and networking within its vibrant community. Then there's Brave - at The Coach House where offices and shared workspaces are available to rent. Brave also offers business support and lots of helpful facilities, such as meeting room, wireless internet and postal service. Hamilton House is another creative hub in Stokes Croft. Last but not least, check out Urban Design Studios - self-contained workspaces in Stokes Croft for creative and tech firms. It's a community of artists, photographers, web designers, architects and animators, all based in converted warehouses. Spaces are available on flexible terms. Per-fick! For some essential recharging, wifi remote working or a chance to meet clients - then you can't beat the good old coffee shop. And Bristol is conveniently awash with them. Primrose Cafe gets my first recommendation. It's an independent, best-loved cafe and restaurant with a great sun-trap outdoor space to enjoy in summer. The Boston Tea Party on Princess Victoria St in Clifton does great coffee. And you can't beat Lahloo Pantry for its Afternoon Tea. Full Court Press is worthy of a mention. Located on Broad Street, the coffee is to die for. For some lunch/dinner and client entertaining, The H Bar is a nice little spot for some Latin American tasty treats. Wilks in Redland offers something a bit more impressive but still at affordable prices - definitely somewhere to show off. And if you fancy some tapas, Bravas is extremely popular with locals. There's also The Old Bookshop for something a bit more intimate and creative. To enjoy Bristol's harbourside, then take a look at riverstation. It has daily changing menus, created using locally sourced, fresh ingredients and it has the most amazing al-fresco terraces overlooking the water with wonderful views. And to enjoy the end of each week for those essential wind-down drinks, Bristol has the best choice of bars and pubs to suit every creative. A good selection of beers (plus good food) can be found at the Hope & Anchor on Jacobs Wells Road & the Grain Barge on Hotwell Road. For cocktails, Hausbar is one of the best bars. Amoeba also does cocktails and is a little hidden gem over in Clifton. To finish things off and dance the night away, you can't go wrong with Bristol. It's known as the most musical city in the UK for its wealth of local talent and its array of music venues. You have Colston Hall - named after Edward Colston and Bristol's largest live music venue. You also have the Bristol Academy, The Exchange, Fiddlers, Trinity Centre, St George's Bristol and a number of pubs from the jazz-loving Old Duke to rock at the Fleece and Firkin and indie bands at the Louisiana. Wow! Absolutely spoilt for choice. This is fast becoming the biggest Creative Cities feature to date. I can't get my head around everything that's happening in Bristol! There's too much to cover in just one article. For art and inspiration, there are so many galleries to enjoy in Bristol. The Bristol City Museum and Art Gallery houses some amazing collections of art, ceramics, natural history and archaeology. Arnolfini is one of Europe's leading centres for contemporary arts. Spike Island is a fantastic hub for contemporary art and design, and home to a gallery, cafe and working space for artists, designers and creative firms. There's always something happening there - definitely worth a visit! And of course, I can't miss out the Royal West of England Academy - Bristol's first art gallery and one of only five Royal Academies of Art in the whole of the UK. Paintworks is another art gallery and event space that has many exhibitions, all year round. As mentioned by Tom Stutt previously, Gromit Unleashed is happening this summer with a trail of 70 Gromit works of art dotted around Bristol. And if you love discovering street art dotted around the city, go on a Banksy Walking Tour or check out the famous Nelson Street where See No Evil has created a permanent cultural legacy for the city. From major West End shows, to stand up comedy and performing arts festivals, Bristol has plenty of plays and productions to suit all tastes. The Watershed offers a lively programme of independent film, digital media and events - all in the heart of Harbourside. The Tobacco Factory has a popular theatre with touring and in-house productions, children and music events. Bristol Hippodrome is one of the UK's top provincial theatres and stages all the major West End and Broadway productions. Bristol Old Vic is Britain's oldest working theatres, which is newly refurbished. To get your shopping kicks, Bristol's Shopping Quarter lies in the heart of the city with Cabot Circus, Quakers Friars, The Galleries and Broadmead bringing together over 500 stores. There's also an out-of-town complex at The Mall Cribbs Causeway. But if you're after the more independent type of boutiques, then Clifton and St Nicholas Market in the Old City is for you. To check out more of what Bristol has to offer, take a look at the Bristol City Council website. Or you can go to the official local tour guide at Visit Bristol.